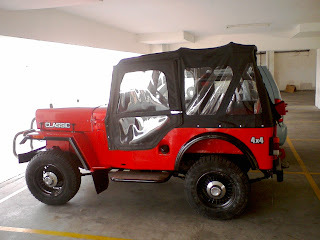 The day one experience in my office with Mahindra Classic is really amazing, as almost all the vivid automobile enthusiastic reached me asking for details of the Jeep. Even some of them wondered if I spent huge budget to bring it to this condition (Not their mistake as they compare the work with modern car's maintenance cost). 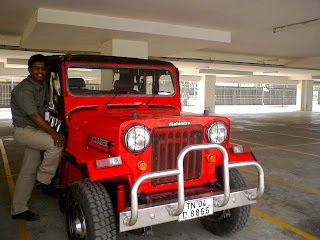 I have not really engaged the 4WD in my Jeep though few tests proved it in good working state, will make an attempt in the near future. The spare wheel, exhaust pipe and side view mirror are the last pending work that I need to concentrate as of now, hope to get it done very soon. buddy, can't stop laughing hearing about people's reaction to ur CJ 340! Can you tell me what price range i can expect to pay and typical maintenance costs since I haven't owned a Jeep before. Cheers!